LOCATED AT KING-LINCOLN PARK! 600 Jefferson Avenue in Newport News! Join us for the final part of this concert series, brought to you by the City of Newport News Parks, Recreation, and Tourism Department. 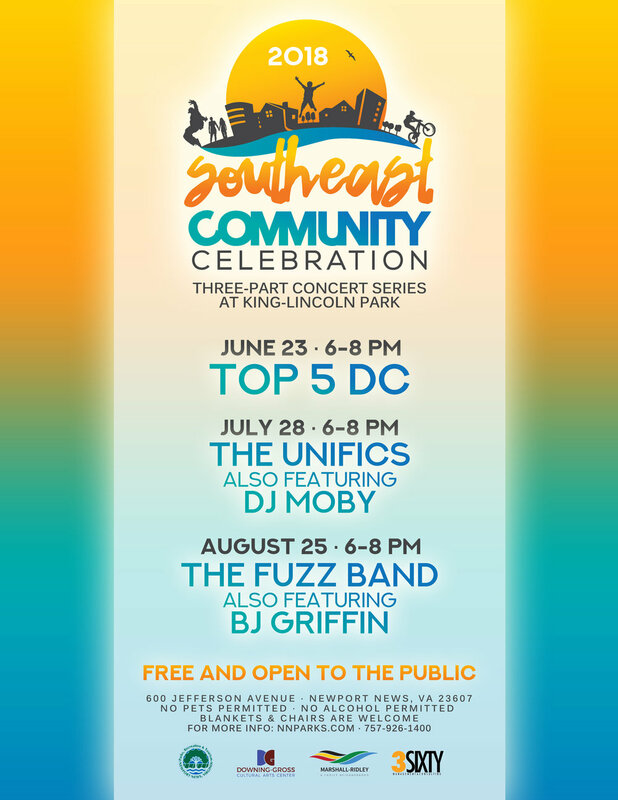 We are excited to have an opening set from BJ Griffin, followed by a performance from The Fuzz Band! This concert is free and open to the public. It begins at 6:00 PM on August 25th, 2018. Blanket and chairs are welcome! No pets allowed. No alcohol allowed. For more information, please visit nnparks.com or call 757-926-1400! Sponsored by the Newport News Department of Parks, Recreation, and Tourism, Downing-Gross Cultural Arts Center, Marshall-Ridley Neighborhood, and 3Sixty Management and Consulting.